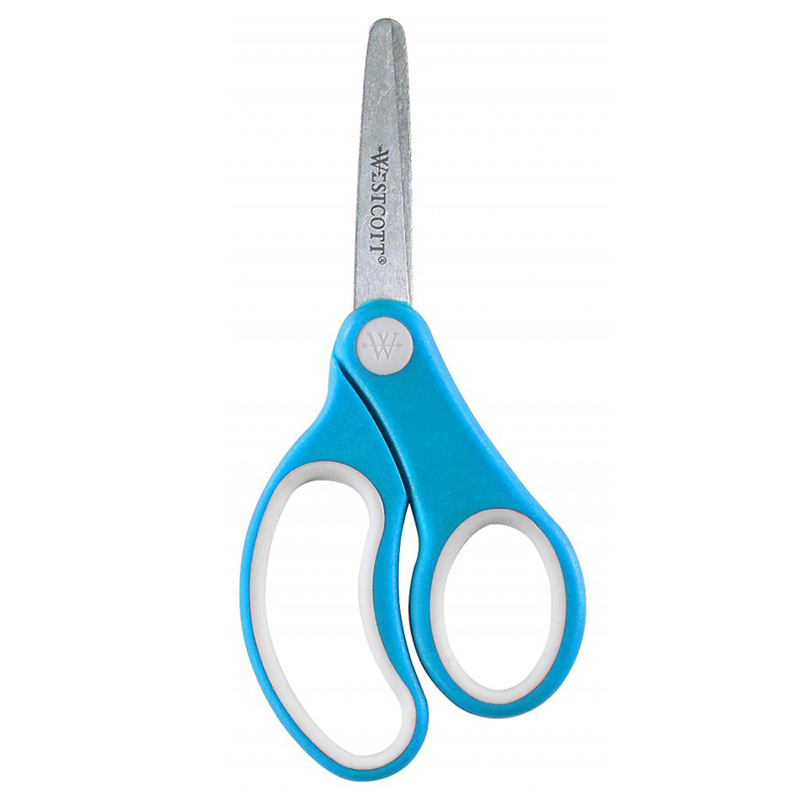 Stainless steel blades with soft comfortable soft insert on handle. Contains a 5" kids scissors with Blunt Tip. Handles designed for left or right hand use. Assorted colors.